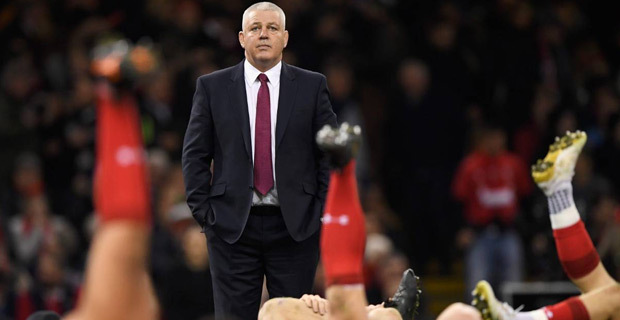 Warren Gatland is optimistic he can end his reign as Wales coach with another Six Nations victory. Gatland says a win against France in Paris in their opening match of the tournament on February 1st could propel them to their first Six Nations success since 2013. Gatland says he thinks they have got a great chance of winning the Six Nations. He says if they win that opening game, which is going to be their toughest, who will step down after 12 years in charge of Wales after this year's World Cup. Wales will follow their opening encounter with a match against Italy in Rome before home matches against England and 2018 champions Ireland bracket a trip to Murrayfield to face Scotland. Gatland says the whole thing about Six Nations is the momentum and if a team can win their first couple of games, they have a great chance of being in contention on the last weekend. Wales won all four of their tests over the Northern Hemisphere autumn international schedule, which featured victories over World Cup group rivals South Africa and Australia and have now won nine on the trot, with their last loss at home to the All Blacks in 2017.